This week we enter the first official full month of summer. Throughout Ontario, Canadians are watching thermostat and humidity readings rise as thoughts turn to staying cool. For some of us, this may mean crossing our fingers and hoping our air conditioner makes it through one more summer. For others, this may be the summer we welcome a new air conditioner into the family! If the latter describes you, chances are good the last time you had to research and select a new A/C unit was five to ten years ago. And a lot has changed in the HVAC industry since then! Today’s air conditioning systems are more energy efficient, quieter to operate, easier to maintain and cheaper to run than at any other time in history. But they can only achieve their full potential when you fully prepare your home for your new air conditioner’s arrival. In this post, we talk about the four keys to ensuring you maximize your investment into a new home cooling system! It is not a stretch to say that most homeowners and business owners have never had their existing air duct system professionally cleaned. This is pretty normal—in fact, most of our air duct cleaning clients are having their ducts cleaned for the first time ever. Today, with widespread air quality concerns, it is normal to want to know what you can personally do to control the quality of the air you breathe! Having your air ducts professionally cleaned and vacuumed is one action you can take that will make a measurable impact on your personal air supply. If you are installing a new A/C unit in a new construction home that is designed to be airtight, there will not be any need to clean out your air ducts. They are already nice and clean and will likely stay that way for many years to come! But if you are replacing an air conditioning unit in an older home with an older duct system, the duct system has likely developed sags and leaky seals over time, and this has allowed dust, dirt, bacteria, insects, pollen and other toxins to make their way inside. The last thing you want to do is to install a beautiful, clean, high-efficiency air conditioning system and hook it up to blow air through those dirty, dusty air ducts. Not only will this reduce the overall energy efficiency you are hoping to achieve, but it will also cause your air conditioner itself to become dirtier faster than it otherwise might. For this reason, the hands-down best time to schedule an indoor air duct cleaning is at the same time you are having a new air conditioner or furnace installed. Why not start out on the right foot with a squeaky clean new A/C unit and equally clean air ducts! When we come in to do your professional indoor air duct system, we will be able to view your entire air duct system in great detail. This will help us identify if you have any major air leaks or broken seals or duct cracks that need to be repaired. Taking the time to make these small but essential repairs will ensure you get the highest efficiency air flow and the cleanest indoor air to breathe. 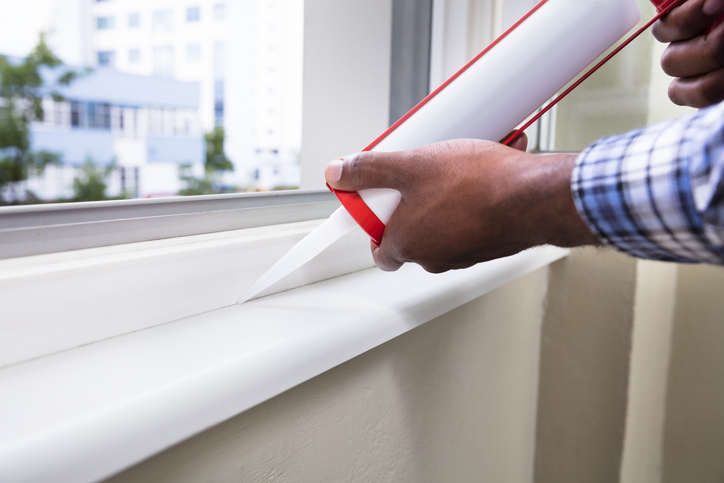 Weather stripping, caulking and sealing up the drafty places in your home will also reduce your annual energy costs to heat and cool your home or workplace, because you won’t be losing so much temperature-controlled air through those cracks and leaks. In decades past, the word “ventilate” pretty much translated to mean “open a window” or “turn on a fan.” Today, we understand that ventilation needs to happen on a daily basis, regardless of the temperature or the weather outside. Turning on a fan may circulate your indoor air, but it won’t do much more than move the stale air already inside your home around. Opening a window may not be feasible in all places inside your home, and especially when you have the heater or the air conditioner running. Today’s ventilation technology integrates seamlessly with your existing HVAC system and air duct system. It operates continuously to move fresh air in and stale air out, making sure the two air streams never meet and mix. Having a well-ventilated home also reduces dust and debris build-up inside your air duct system, because your HVAC isn’t simply recirculating the same stale air through your house. A heat recovery ventilator, or HRV, does much more than just draw in fresh air and push out stale air. It also removes moisture and airborne pollutants, helping to keep the air fresh, well-oxygenated and healthy to breathe. There is one more step to take to make sure you get the most out of your investment in a new air conditioner. Your new A/C unit will be efficient at doing its job. But its job is just to keep your indoor air cool and move it through the duct system and throughout your space. Right from day one, you want to make sure you get on a regular system of changing out the air filters—ideally, at least monthly. This will keep trapped particulate matter to a minimum and keep your air conditioner operating at peak efficiency. Have you just installed a new air conditioner and you want to make sure you get your money’s worth on your investment? Or are you currently shopping around for a new A/C unit and need some guidance about the right size and rating for your space? 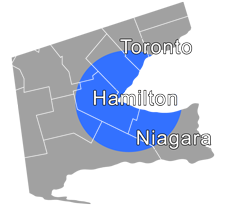 Contact us online or give us a call at 905-549-4616 and let our friendly, knowledgeable technicians answer all your A/C questions!